If you learn the plants names such as their family, genus and species, you will also learn their basic seed saving attributes. Families define the basic form of the flower parts of plants. All plants with the same flower/reproductive structure are in the same family. Solanaceae (Nightshade) and Brassica (Mustard) are examples. Common name is like a nickname. It is more casually used but can be confusing. For instance, “tulip tree” is a common name used for unrelated trees that look similar. 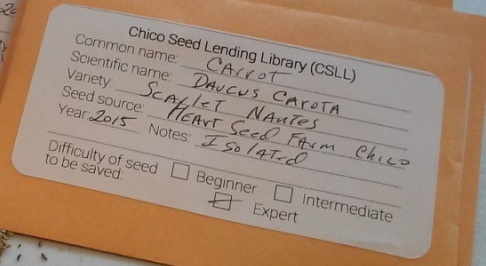 Carrot seed label with identifying names such as it’s scientific name, Daucus carota. 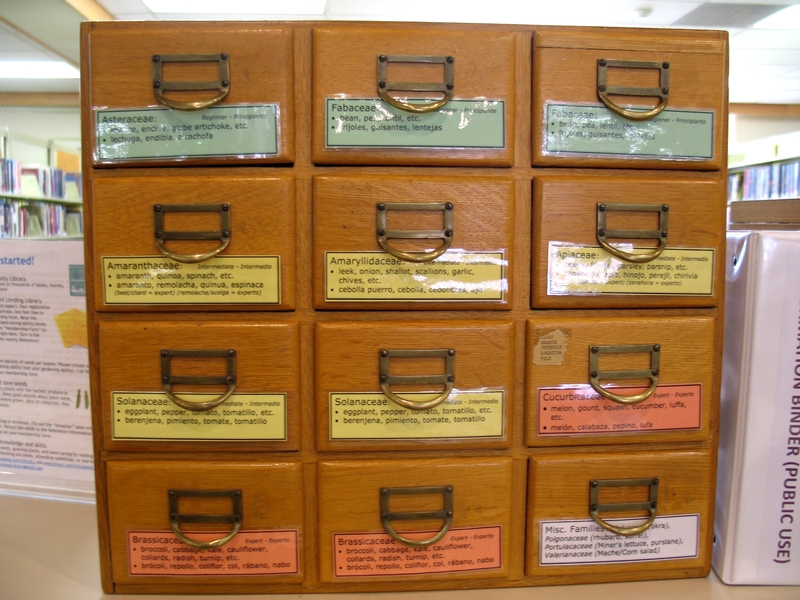 Genus is similar to a person’s surname, and defines more closely related plants. Crosses between genera are rare but can occur. Species define specific botanically recognized plants with similar fruit, flowers, and leaves. This is the information that is particularly important to know with seed saving because plants within one species will readily cross with each other. See the example below for more information. 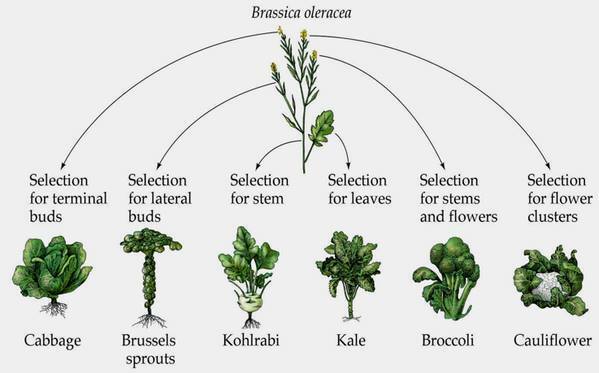 In the image above one can see that many of the common Brassica vegetables we eat, like broccoli and cabbage, are within the same species, oleracea (of the Brassica genus). It’s important to ensure that broccoli and cabbage are not grown together or they will cross pollinate with each other and the resulting seed will not be true to type. The plant grown from the collected seed of either broccoli or cabbage will not be broccoli and will not be cabbage but a cross between the two plants. We can ensure cross pollination does not occur by utilizing ISOLATION techniques either in time or space. Varieties are intentional or natural crosses in a species and can come true to seed. Plant breeders intentionally create varieties for specific flavors, colors, size, shape etc.. In seed-saving the intent is usually to save the integrity of a specific variety by ensuring that two different varieties of the same species do not cross with each other. Growing the orange carrot variety, Scarlet Nantes, in the same space and at the same time with purple carrot variety, Dragon, would result in cross pollination and the the seed would not be true to variety. The seed collected and grown out would not be Scarlet Nantes nor Dragon but a cross between. It may end up being a really wonderful tasting, colorful and unique carrot but it would no longer of the variety Scarlet Nantes or Dragon.